Prosthetic Eye Insurance Coverage | Ocular Prosthetics, Inc. Most prosthetic eye services are covered by insurance. Ocular Prosthetics, Inc. is a contracted provider for nearly every health plan, Health Maintenance Organization (HMO), Independent Physician Associations (IPA), and Preferred Provider Option (PPO) in our service areas. Stephen Haddad, B.C.O., and his associates are also Medicare and MediCal approved prosthetic eye providers. Workers compensation cases are also eligible for insurance covered services at Ocular Prosthetics, Inc. Our staff will handle all insurance billing services. Stephen Haddad, B.C.O. and his team are also proud to provide prosthetic eye services to veterans. As a preferred provider for Veteran Affairs (VA) services, veterans are now able to receive the high quality services of our practice, at any one of our five office locations. In addition, we also provide complete prosthetic eye services to members of California Children’s Services (C.C.S. ), Victims of Violent Crimes (V.V.C. ), and the County of Los Angeles. 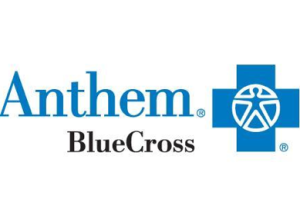 Patients and their families are encouraged to seek our assistance with any insurance issue, no matter who the insurance provider or medical group is. Our staff is happy to determine insurance coverage and benefits for all patients. 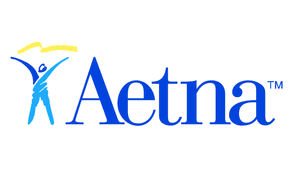 Stephen Haddad, B.C.O., and his associates are contracted Aetna ocularists, prosthetic eye providers. To access your insurance coverage benefits please visit the following website link. Stephen Haddad, B.C.O., and his associates are contracted Anthem ocularists, prosthetic eye providers. To access your insurance coverage benefits please visit the following website link. Stephen Haddad, B.C.O., and his associates are contracted Blue Shield of California ocularists, prosthetic eye providers. To access your insurance coverage benefits please visit the following website link. Stephen Haddad, B.C.O., and his associates are contracted Cigna ocularists, prosthetic eye providers.To access your insurance coverage benefits please visit the following website link. Stephen Haddad, B.C.O., and his associates are contracted Health Net ocularists, prosthetic eye providers.To access your insurance coverage benefits please visit the following website link. Stephen Haddad, B.C.O., and his associates are contracted Humana ocularists, prosthetic eye providers. To access your insurance coverage benefits please visit the following website link. Stephen Haddad, B.C.O., and his associates are contracted Kaiser Permanente ocularists, prosthetic eye providers. To access your insurance coverage benefits please visit the following website link. Stephen Haddad, B.C.O., and his associates are contracted United Healthcare ocularists, prosthetic eye providers. To access your insurance coverage benefits please visit the following website link. Stephen Haddad, B.C.O., and his associates are contracted Beaver Medical Group ocularists, prosthetic eye providers. To access your medical group providers please visit the following website link. Stephen Haddad, B.C.O., and his associates are contracted Desert Oasis Healthcare ocularists, prosthetic eye providers. To access your medical group providers please visit the following website link. Stephen Haddad, B.C.O., and his associates are contracted EHS Medical Group ocularists, prosthetic eye providers. To access your medical group providers please visit the following website link. Stephen Haddad, B.C.O., and his associates are contracted Facey Medical Group ocularists, prosthetic eye providers. To access your medical group providers please visit the following website link. Stephen Haddad, B.C.O., and his associates are contracted Healthcare Partners ocularists, prosthetic eye providers. To access your medical group providers please visit the following website link. Stephen Haddad, B.C.O., and his associates are contracted Lakeside Community Healthcare Medical Group ocularists, prosthetic eye providers. To access your medical group providers please visit the following website link. Stephen Haddad, B.C.O., and his associates are contracted Motion Picture Industry ocularists, prosthetic eye providers. To access your medical group providers please visit the following website link. Stephen Haddad, B.C.O., and his associates are contracted Preferred IPA ocularists, prosthetic eye providers. To access your medical group providers please visit the following website link. 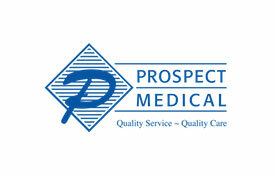 Stephen Haddad, B.C.O., and his associates are contracted Prospect Medical Group ocularists, prosthetic eye providers. To access your medical group providers please visit the following website link. Stephen Haddad, B.C.O., and his associates are contracted Regal Medical Group ocularists, prosthetic eye providers. To access your medical group providers please visit the following website link. Stephen Haddad, B.C.O., and his associates are contracted Sansum Clinic ocularists, prosthetic eye providers. To access your medical group providers please visit the following website link. Stephen Haddad, B.C.O., and his associates are contracted Santa Barbara Select IPA ocularists, prosthetic eye providers. To access your medical group providers please visit the following website link. 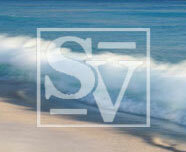 Stephen Haddad, B.C.O., and his associates are contracted Seaview IPA ocularists, prosthetic eye providers. To access your medical group providers please visit the following website link. Stephen Haddad, B.C.O., and his associates are contracted UCLA Medical Group ocularists, prosthetic eye providers. 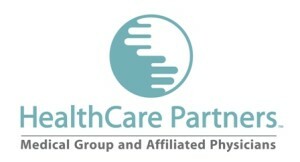 To access your medical group providers please visit the following website link.